Steve rehearsing this for Friday's gig at THE TRIAD ARTS THEATER in Yelm. 8 pm at the TRIAD ARTS THEATER in Yelm is when it all starts....or re-starts...It's WALTERs BIRTHDAY reunited for the JOHN KEESLAR family benefit. Steve's excited and rehearsing tonight this TOM PETTY tune. The band will be doing some old favorites as well as originals by Jon and Tod. 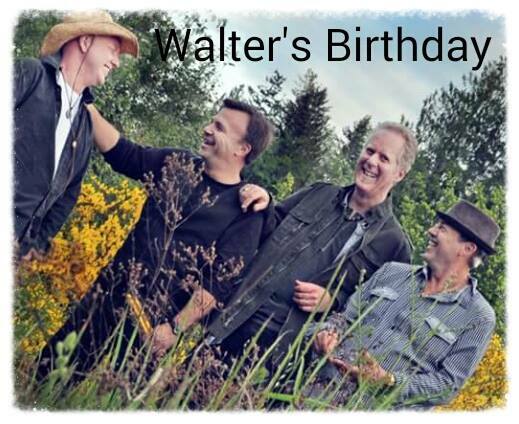 WALTERs BIRTHDAY is STEVE BARTLETT/bass/vocals, JON BARONI/keys/harp/vocals, there's SCOTT ERCOLANI doing drums and vocals, with TOD LEMKUHL/guitar/vocals. It'll be a good one. You don't wanna miss.